Engine Shed invites you to the fifth in its finance series on the subject of reward strategies. 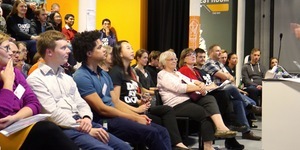 Talk with Q&A, followed by drinks and networking as part of SETsquared Beer n Pizza event. f you would like to attend the Beer n Pizza event afterwards, please book here as well with the password Gr0wth. In this session, Sarah Haynes and Louise Jenkins from KPMG’s Rewards and Employment Tax team will share their experiences of working with start-ups to multi-nationals. They will consider the common pitfalls, options for motivating employees and how to make the most of the available tax incentives as an employer. A local entrepreneur will share their thoughts on how to use incentives and rewards to scale their business.